Sept. 29, 2016, 12:25 p.m.
By Joseph Lichterman @ylichterman Sept. 29, 2016, 12:25 p.m. The Times of London on Thursday said it was shutting down its Times Weekly app, a subscription app that the British paper launched in January to reach to an international audience. The app, which cost $3.99 a month, was available in 46 countries outside the U.K. and was updated every Thursday with stories the Times and Sunday Times had published in the previous week. Apparently the Times wasn’t able to generate enough interest in the product to make it viable, though. (Its peak position in the U.S. App Store was No. 369 in the News category.) 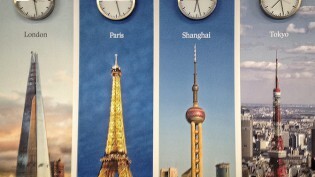 The last edition of the app will be published on October 31. The paper has stopped accepting subscription payments for the app, and it’ll be free to use until then. 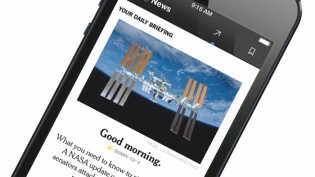 The weekly app was part of the Times’ strategy to structure its digital output around finite editions. In March, it released a new website and app that are updated on a schedule, four times throughout the day. 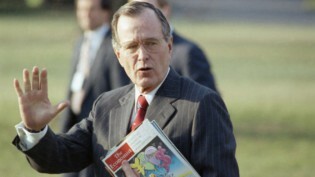 Subscriptions are key to the Times’ business. 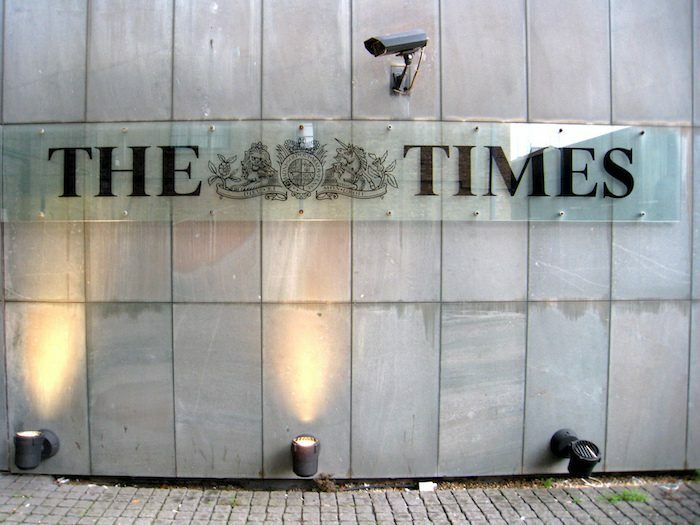 The paper has one of the industry’s strictest paywalls, and through the end of June the Times said it had 182,500 digital-only subscribers, an increase from 172,000 the year before. It’s unclear, however, how many of those subscribers were paying for the weekly app. As Facebook and Google continue to expand their dominance over the online advertising market, publishers like the Times are turning to their readers for support and rolling out new products to try and entice them to subscribe. One way publishers are trying to do this is by launching lower-priced mobile products that don’t feature an outlet’s full slate of coverage. 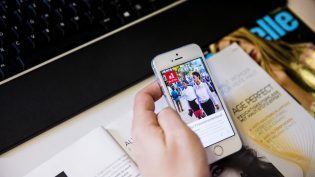 In 2014, for instance, The Economist launched Espresso, a daily digest app. In Switzerland, the publisher Tamedia, earlier this year introduced 12-app, a German-language product that repackages stories from across the company’s outlets. But the appeal of these types of apps might be limited. In addition to The Times’ decision to shutter Times Weekly, The New York Times in August announced it was killing its NYT Now app, which was originally conceived as a lower-priced, limited-content option for younger readers. When it launched in April 2014, a subscription to the app cost $8 a month. But only about 20,000 people ever subscribed, according to The Wall Street Journal, and in May 2015 the paper made the app free. That month the app had 334,000 unique users, its most ever, the Times reported. NYT Now averaged 257,000 unique users over three months earlier this year. The Times incorporated features from NYT Now into its main mobile apps, and in a memo announcing the move, Kinsey Wilson, the Times’ executive vice president for product and technology, and David Perpich, the Times’ senior vice president for product, said the paper would focus on other products and ways to reach younger readers. In a statement, the Times of London said it would similarly incorporate lessons from the weekly app into its main products. Since the launch of our new 7-day website and smartphone apps for The Times and The Sunday Times we’ve seen a great reaction to our edition-based publishing strategy. We’ll be using the knowledge we gained from the weekly proposition to improve our full international subscription offering. Photo by Tristan Nitot used under a Creative Commons license. POSTED Sept. 29, 2016, 12:25 p.m.
Lichterman, Joseph. "The Times of London is shuttering its international paid weekly app." Nieman Journalism Lab. Nieman Foundation for Journalism at Harvard, 29 Sep. 2016. Web. 23 Apr. 2019. Lichterman, Joseph. 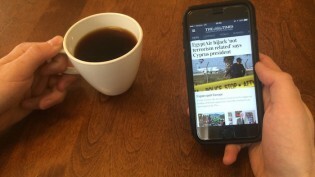 "The Times of London is shuttering its international paid weekly app." Nieman Journalism Lab. Last modified September 29, 2016. 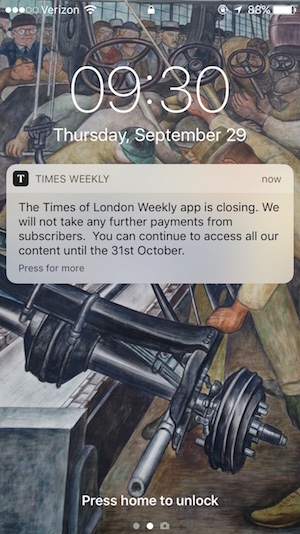 Accessed April 23, 2019. https://www.niemanlab.org/2016/09/the-times-of-london-is-shuttering-its-international-paid-weekly-app/.